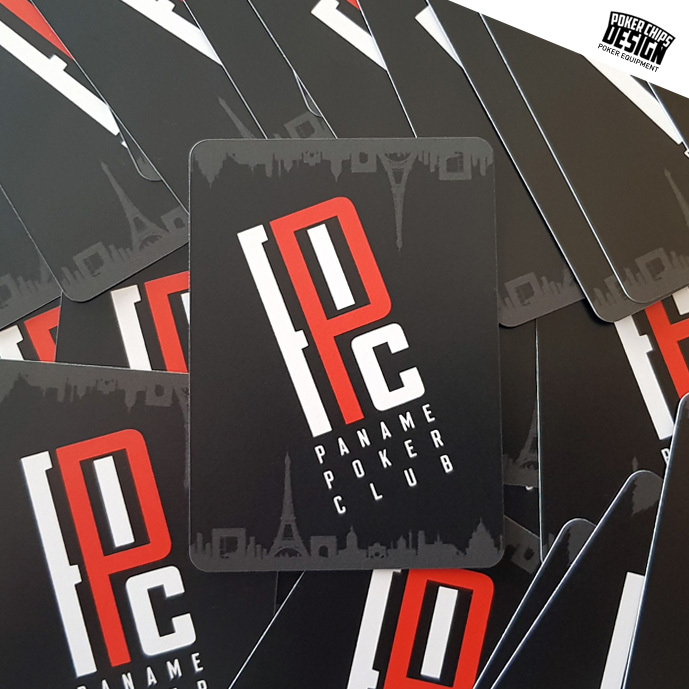 The project: The Parisian club Paname Poker Club wanted PVC cut-cards or their poker tables. 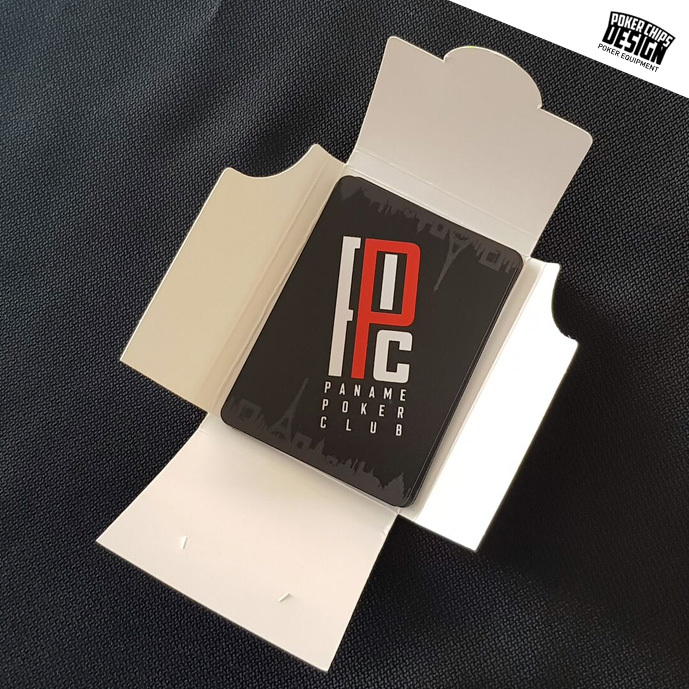 My answer: A black cut-card that highlights – by contrast – the white & red PPC’s logo. 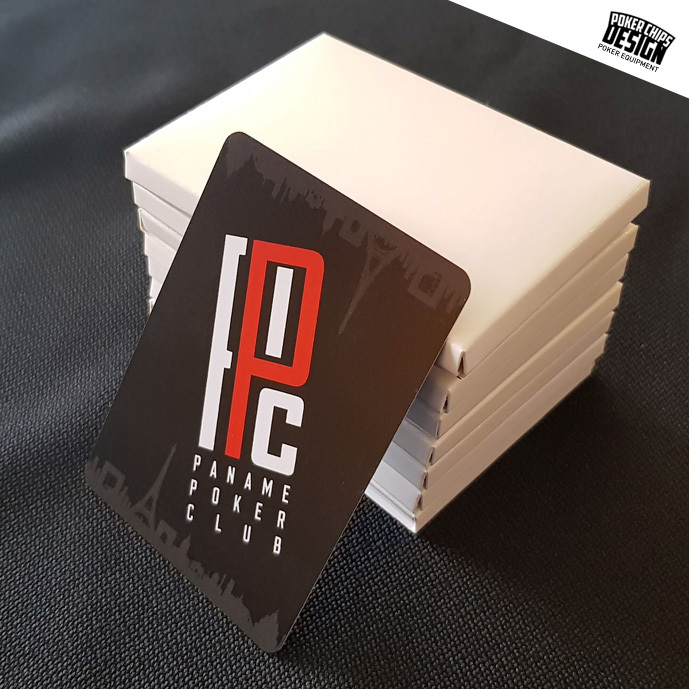 The Paris gray skyline at the top and bottom of the card is reminiscent of the capital and effectively frames the logo.